Get connected in over 150 countries around the world – Full List inside. For non-earthed 2 poles plugs only. (Class II appliance, marked with square symbol). 2.1 Amp DUAL USB . 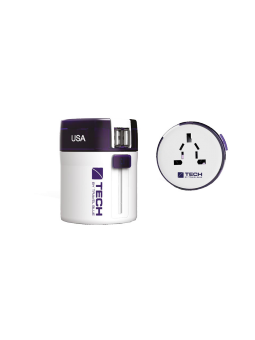 Note: this travel adapter does not convert voltage between 110V/220V.